Three most important healthcare apps! The rising trend of using smart phones by medical practitioners has led to the trend of medical apps use for health care. As development has paced to a great extent on the health and wellness mobile arena, doctors and patients feel it difficult to choose right type of medical app for their specific medical needs. Amidst the massive crowd of medical apps there are three medical apps worth mentioning. These three apps aid patients and their family members get a better understanding of the cancer treatment, one of the most scary and incurable disease. 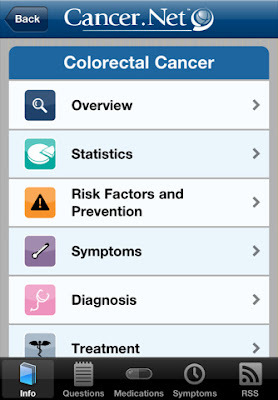 • Cancer.net: It is an oncologist-approved cancer information website from the American Society of Clinical Oncology (ASCO), released an iOS app. The website now has been transferred more on to the mobile format. The most interesting and useful section of the application is its “questions and answers” section, which allows patients to store questions that they can ask their oncologist and other physicians later. There is also a suggestion area in the application that provides patients chance to have an idea about the question to be asked from a physician. The questions can even be stored in voice format from the application. • Carb Counting with Lenny: The app made by Medtronic helps children to learn about diabetes and have an idea about carb counting. Those with diabetes or those with family members with history of diabetes know how important it is to know doing carbohydrate counting is. The app includes games method to make teaching helpful and fun to learn. The games display all the basic food groups and tell patients about the various carbs and their impact upon blood sugar. • Hello Baby Pregnancy Calendar: The apps developed by Pampers, and introduced after the first iPad. The app helps expecting mothers to have a nice about the various stages of their pregnancy and their baby’s development. This shows different stages of baby development week after week. The app also includes a parenthood video series, and even a quirky “Womb Translator” portion that tells what a baby hears while he is in womb. As smartphones have become unavoidable same is the case applies with various apps installed on smartphones.